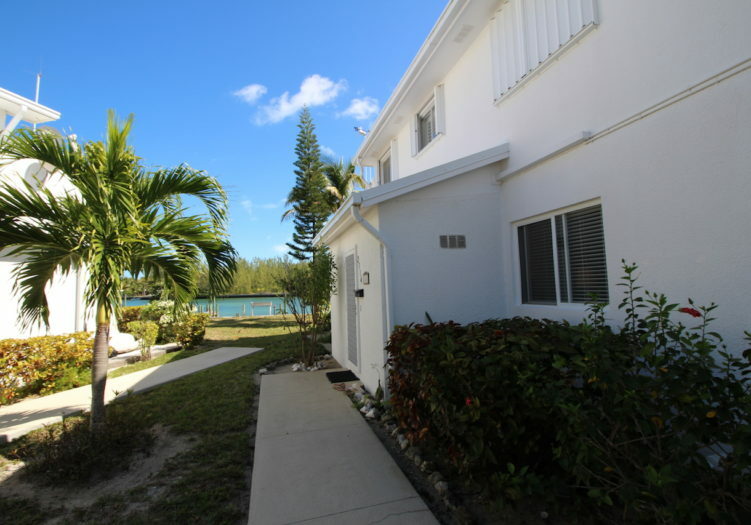 Home » Listings » Atlantis 2114 SOLD! 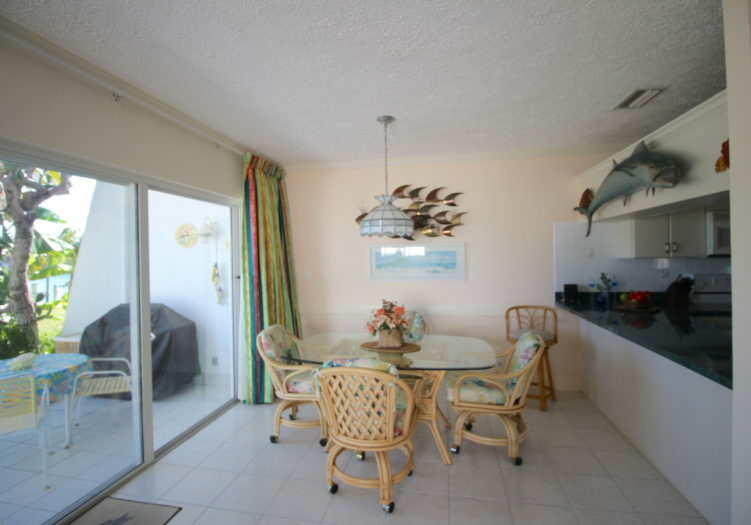 Atlantis 2114 is an attractive ground level 2 bedroom, 2 bath waterfront condominium overlooking lovely Brigantine Bay. A private 20 ft. dock provides a deep water, sheltered space to accommodate vessels up to 36′ in length. 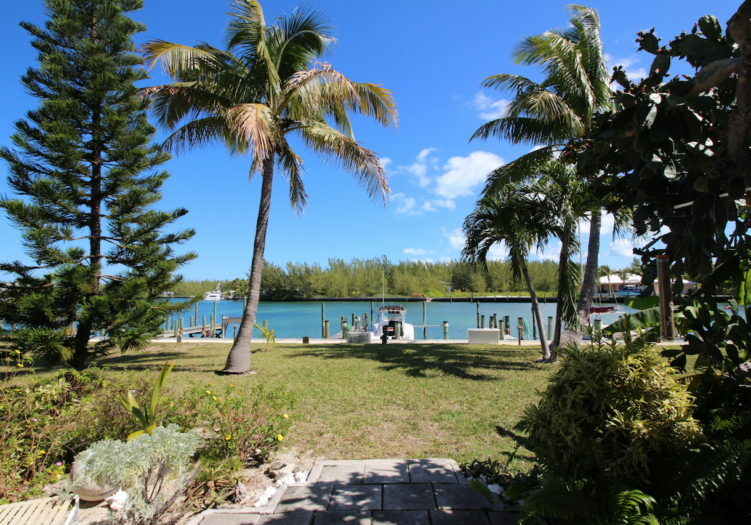 Located within the gated community of Treasure Cay, this condominium is a short walk to the world famous 3 1/2 mile, powdery white sand beach and the shimmering turquoise waters of the Sea of Abaco. 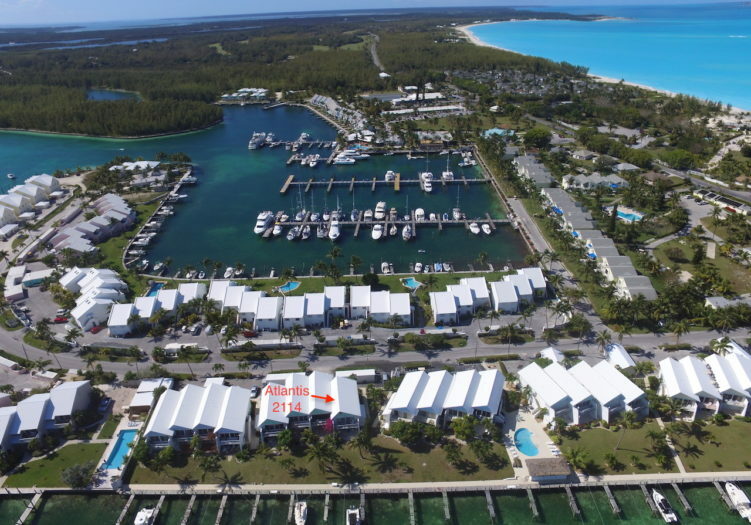 This prime end unit offers 1,000 square feet of easy living space with an open living, dining, kitchen floor plan which allows for enjoyable water views from every angle. Step outside to the 200 square feet of tiled and covered patio complete with dining furniture, lounge chairs and a grill. 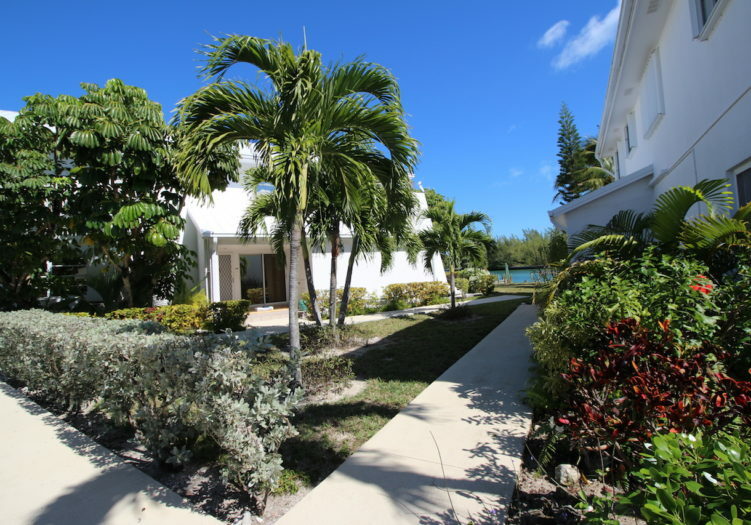 Framed by lush, tropical landscaping, the patio and adjoining green space provide a private outdoor entertaining area, as well as a restful spot to relax under the sun during the day or the stars at night. 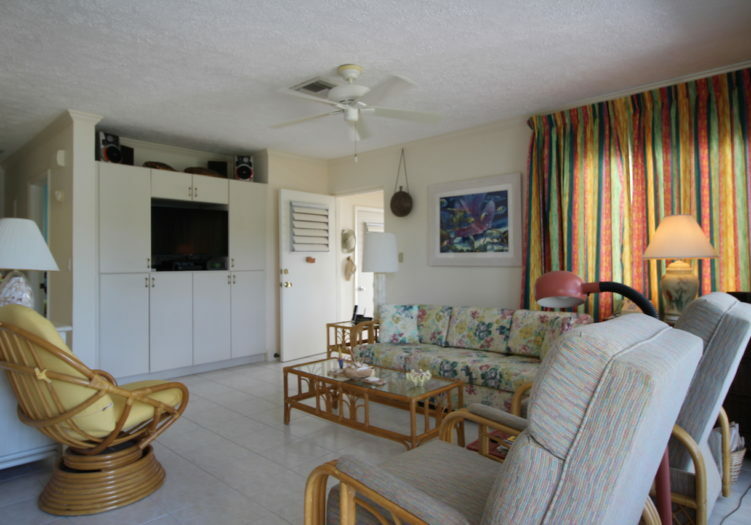 This well maintained “turn-key” condo is decorated with casual and comfortable rattan furniture in the living room and includes a tropical print sofa, two matching pastel recliners and a swivel rocker. Colorful drapes line the windows and the expanse of sliding glass doors. A glass top dining table is surrounded by six matching chairs and easily accesses the breakfast bar and kitchen area. 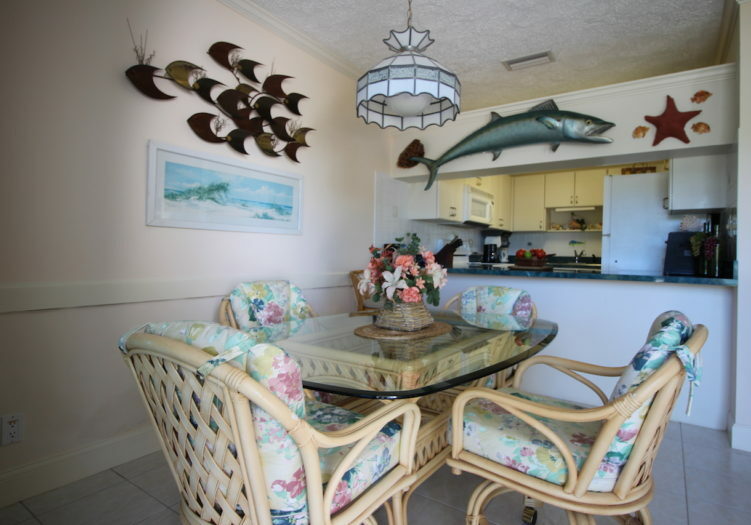 The renovated kitchen with cream colored cabinetry and malachite green countertops is highlighted with a white tile backsplash and accent tiles of colorful fish and shells. Modern Whirlpool major appliances in white are included along with an assortment of small appliances, dishes, pots and pans, cutlery and glassware. A built in entertainment unit holds a 37″ JVC flat screen television and cabinets for stereo receivers and other extras. Two separate storage closets are found near the front door. 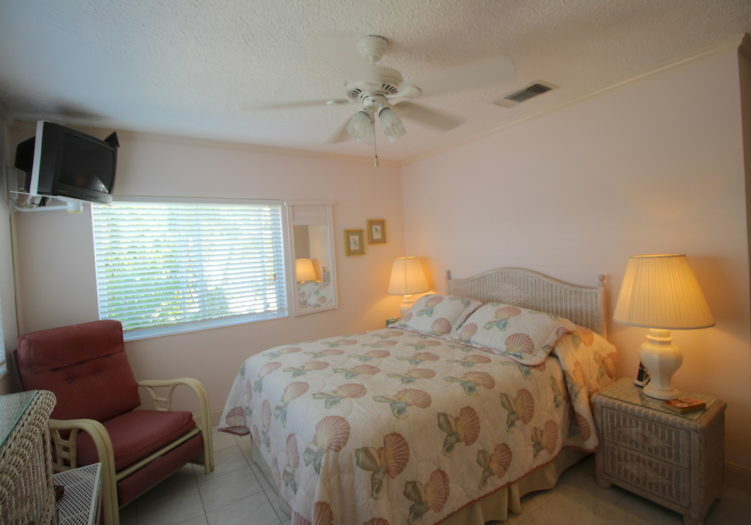 The master bedroom suite is furnished with a wicker headboard and queen size bedding, two dressers, a recliner, matching bedside tables with lamps, and an additional wall air conditioner. An en-suite bath features a full size tub and shower and vanity with single sink. 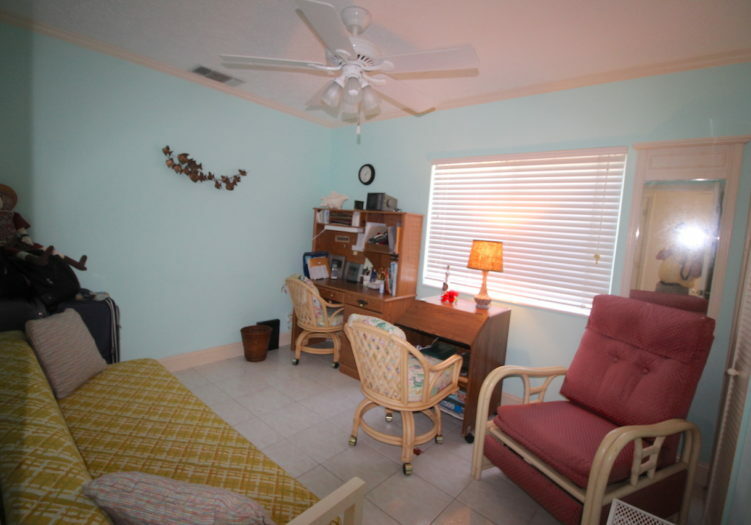 The home office/ study can be used as a second bedroom and is furnished with a couch, desk, recliner and lamps. 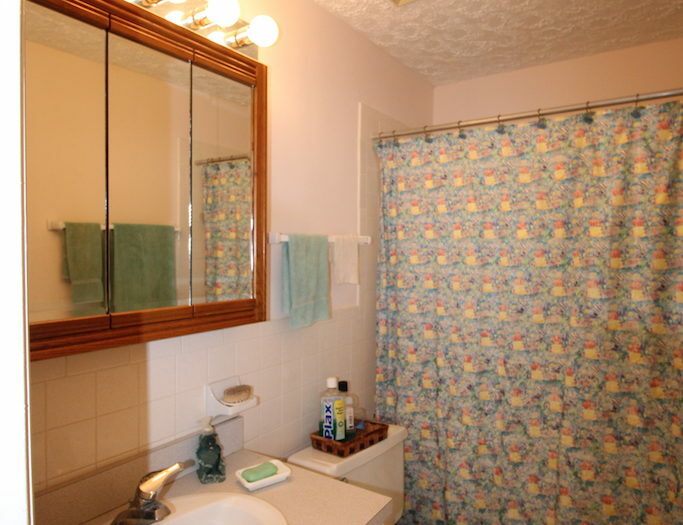 The large guest bath offers a tiled shower, large vanity and a linen closet. Additional amenities include 12″ ceramic tile through out, along with ceiling fans and crown and baseboard moldinjg. Outside find a personal storage shed to store bicycles, tools and water toys. 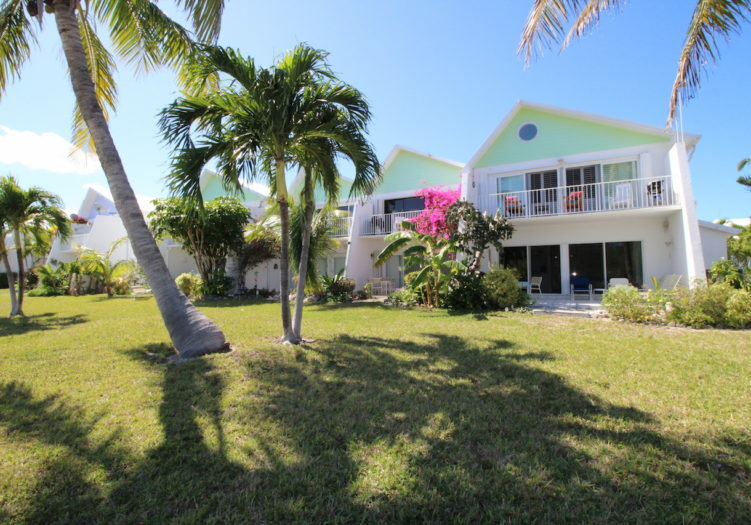 Community amenities include a heated, fresh water pool with patio furniture, a tiki hut and covered area for parties. On-site laundry facilities with washer/ dryers and R.O. drinking water are steps away. 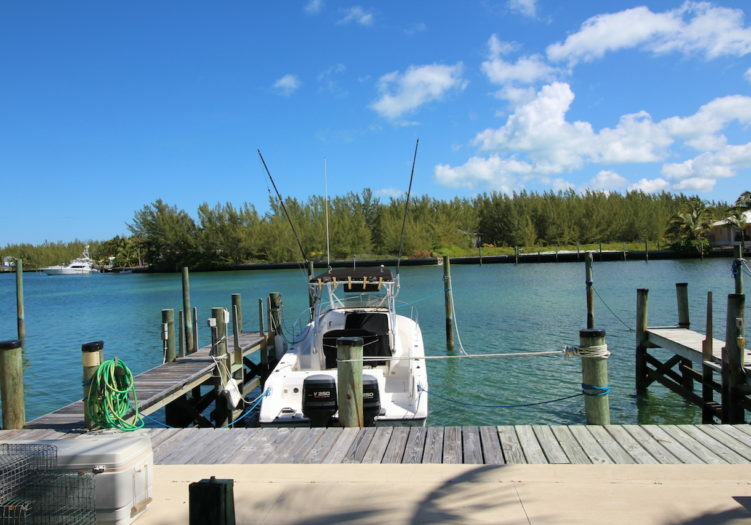 The private 20′ dock is serviced with 110 volt power pedestal and water along with dolphin pilings. 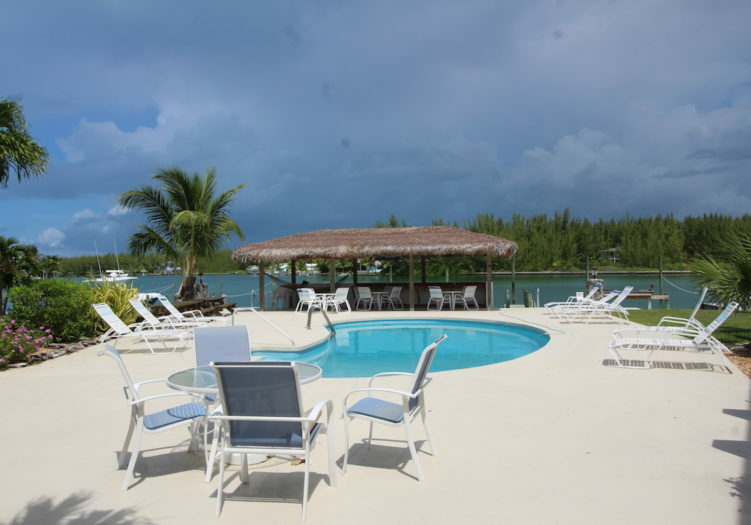 The Treasure Cay Resort provides shops, restaurants, banking and medical facilities. 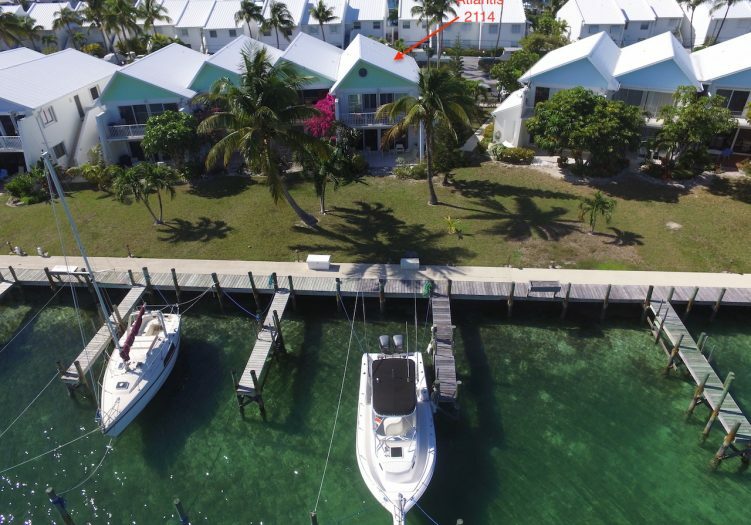 Close by find a full service marina with boat rentals, fishing, snorkeling and Eco-adventures. 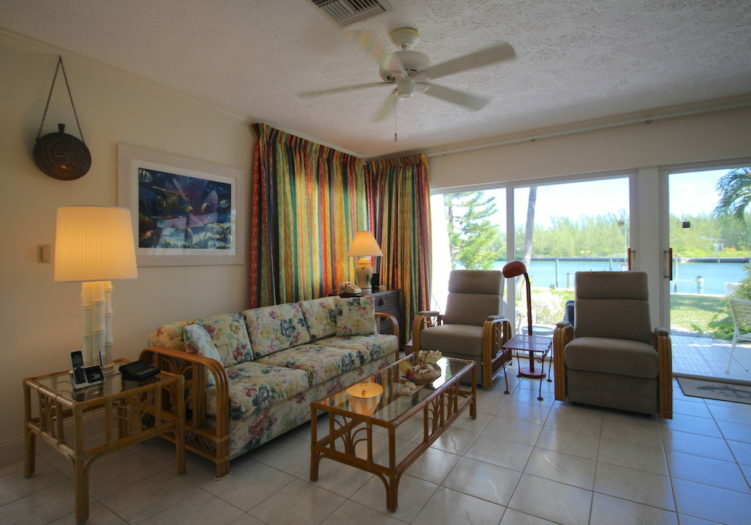 An 18 hole championship golf course and tennis center are a short distance from Atlantis condominiums. 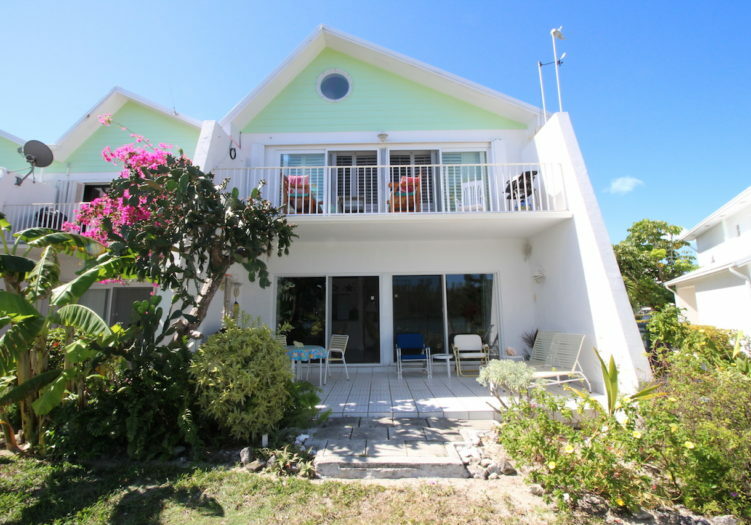 Easy access to the Sea of Abaco and the picturesque surrounding cays, along with the Atlantic Ocean, make this condominium a perfect choice for a dream vacation residence, a full time home, or an income producing vacation rental. Experience the endless possibilities that Atlantis 2114 can offer as you discover your own ” piece of paradise” .